The “Needs of Seeds” formative assessment probe can be used to find out whether students recognize that seeds have needs both similar to and different from plants and other living organisms (Keeley, Eberle, and Tugel 2007). The probe reveals whether students overgeneralize the needs of seeds by assuming they have the same needs as the adult plants that grow and develop from a seed during the life cycle of the plant. 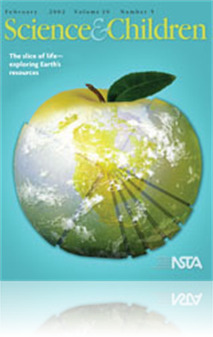 Through a process of elicitation, exploring, and testing their ideas about seeds, engaging in argumentation and sense making, and reflecting back on their initial thinking, “Needs of Seeds” provides an assessment springboard for students to learn about the needs of living things, hone their skills of inquiry, and experience the nature of science. In addition, teachers can gather valuable formative assessment information about their students’ thinking and their ability to identify the evidence they need to support their ideas. This formative assessment probe addresses the understanding of germination without using the actual word so as not to influence responses. It seeks to understand what students think seeds need to sprout and grow. In the author’s own words this probe represents a “justified list probe which asks students to select examples from a list that fit a particular criterion and then justify the “rule” or reasoning they used.” The author also explains what she calls the ‘A and D statement technique’. This is a must read to learn about all the ways a formative assessment probe can be used. This article centers around another fantastic formative probe from the "Uncovering Student Ideas" series. More importantly, it contains Page Keeley's thoughts on what formative assessment really is and what it might look like in the classroom. She adds ideas on how to elicit meaningful dialogue and how to extend and deepen student understanding.